Covering conventions is one thing, but podcasting it is another. Join us as we discuss in great detail our thoughts on all the conventions we recently been to, and discuss our adventures going to them! 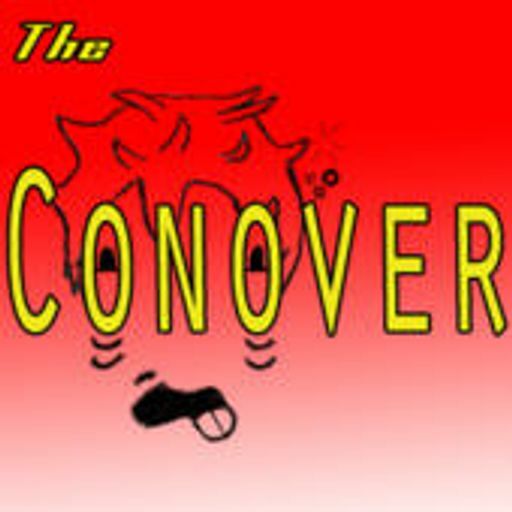 The Conover Ep.108-Lines, Lines, Lines, yea! The Conover Ep. 107-Comic Con Revolution, is bringing the revolution! The Conover Ep. 103-WonderCon, the next big con? The Conover Ep.101-Viva Great American Comic Con! The Conover Ep.100-Wait we made 100 of these? The Conver Ep.98-Get your ice cold water...at Otakon! The Conover Ep.95-Is Anime Expo a trade show now?